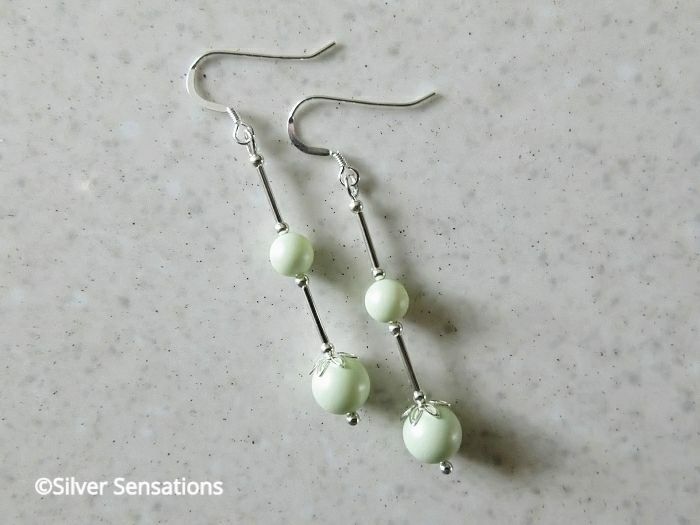 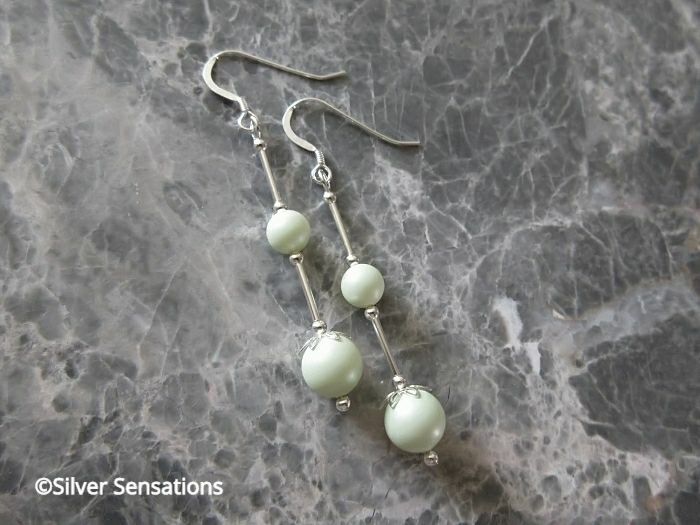 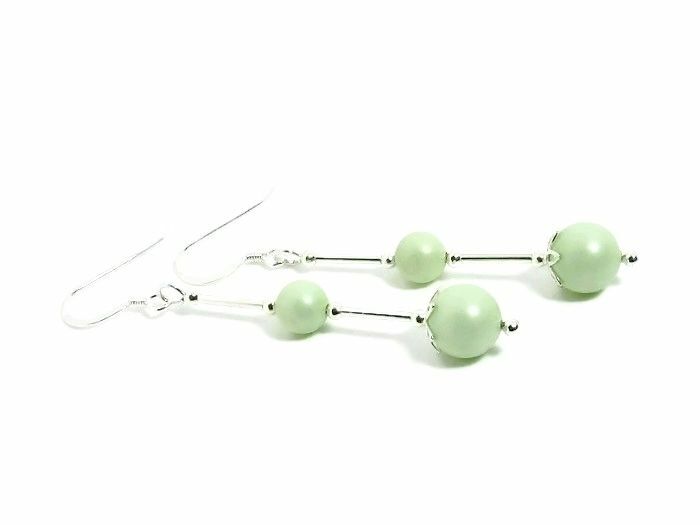 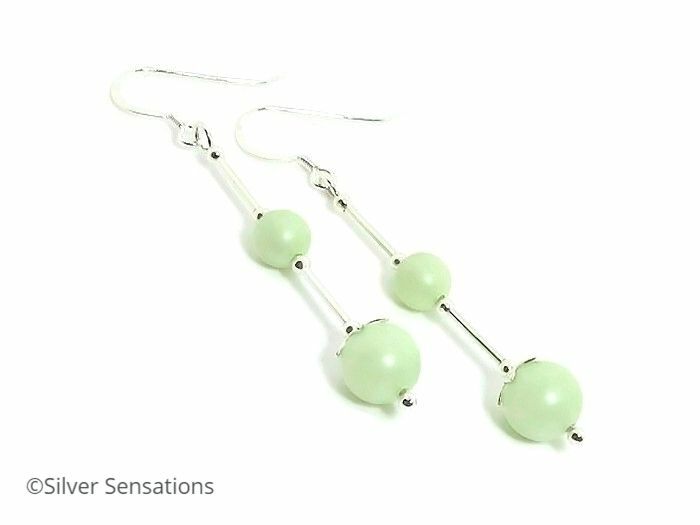 Long & elegant, these uniquely designed pastel green wedding earrings have matte Swarovski Pearls in sizes 8mm & 6mm. 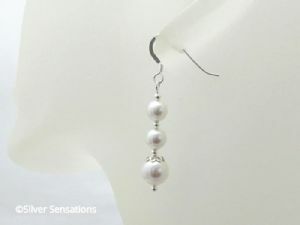 At the bottom of each earring is a beautiful 8mm Swarovski Pearl whilst the 6mm pearl sits half way up the earring. 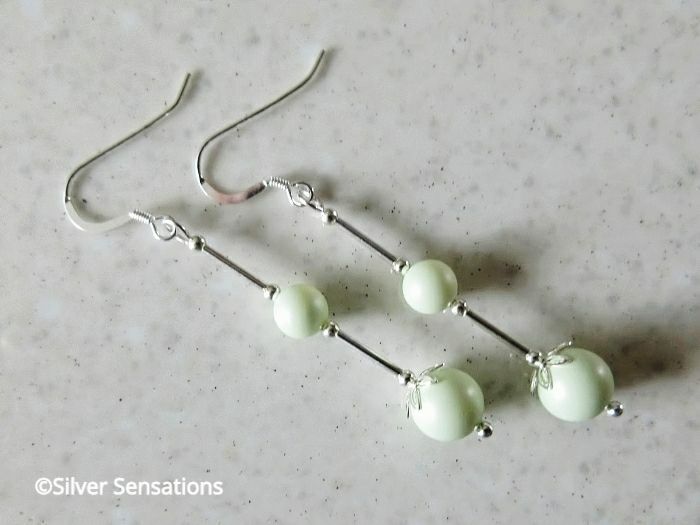 Completing this elegant design are Sterling Silver tubes, small seamless round beads & pretty flower shaped bead caps. 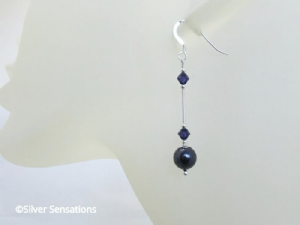 With a drop of 49mm from the top of the coil on the hig quality ear wires, these designer earrings really do look very elegant. 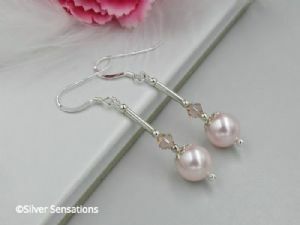 Unlike most of Swarovski's Pearl colours, the pastel shades are more of a smooth matte finish.